Dale Inglett lives and works in Alfred, NY. 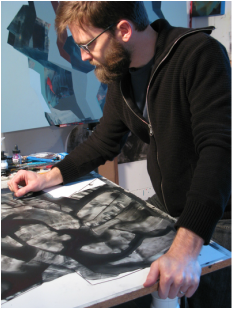 His works in painting, drawing and video have been exhibited at venues including The Memorial Art Gallery in Rochester NY and The Georgia Museum of Art; and his drawings were published in Manifest Gallery's International Drawing Annual 8. He is the recipient of an Electronic Media Finishing Funds Grant from NYSCA and Arts Council of the Southern Finger Lakes, as well as a Strategic Opportunity Stipend from NYFA.